Beds R Us has been serving Australians for more than 25 years, helping people in our communities achieve the best rest possible by knowing their needs. 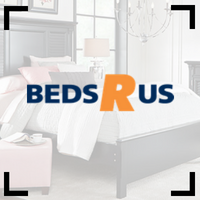 The Beds R Us team take pride in selecting a wide range of the finest quality Australian made products and personally guide each customer to the most restful mattress for their needs. The Sleepyhead Sanctuary Avignon is soft and has an immediate sinking feeling which does compromise spinal support somewhat. Surprisingly, there is some partner disturbance on this mattress. The Sleepyhead Sanctuary Cannes has a top layer that hugs the body quite nicely so there is a nice mix of comfort and spinal support here. A big price tag so naturally the build quality is exceptional. The Sleepyhead Sanctuary Le Mans feels quite soft which does come with a sinking feeling. This does compromise spinal support even though it does feel quite cloud like and luxurious. The Sleepyhead Sanctuary St Malo has a strange feeling to the top layer – it feels a bit uneven and doesn’t seem to support the body in a balanced way. The build quality on this though is exception. The SleepMaker Miracoil Chapel Advance 5 Plush has a nice light top layer which is very comfortable but spinal support is compromised somewhat. Has a slightly springy and cheap feel to it. The Cocoon Magnolia is very well-built and feels expensive and luxurious. Very comfortable and spinal support is still quite good. Partner disturbance is minimal so if you have the cash, and like the feel of this one, go for it! The Cocoon Azalea has a nice top layer which feels light and dense at the same time. This gives a nice mix of comfort and spinal support. Partner disturbance is minimal so overall this is a very good mattress. The Cocoon Peony has dense and puffy pockets on the top layer which provide good spinal support but may be a little dense for some. Partner disturbance seems minimal but for the price it may be a hard sell.